Basic colors are part of the quick ship program, most other colors are Made to Order. The Lacquered colors have a high gloss shine to them. The Metallic colors contains real metal parts in the paint to give them that special glimmer. 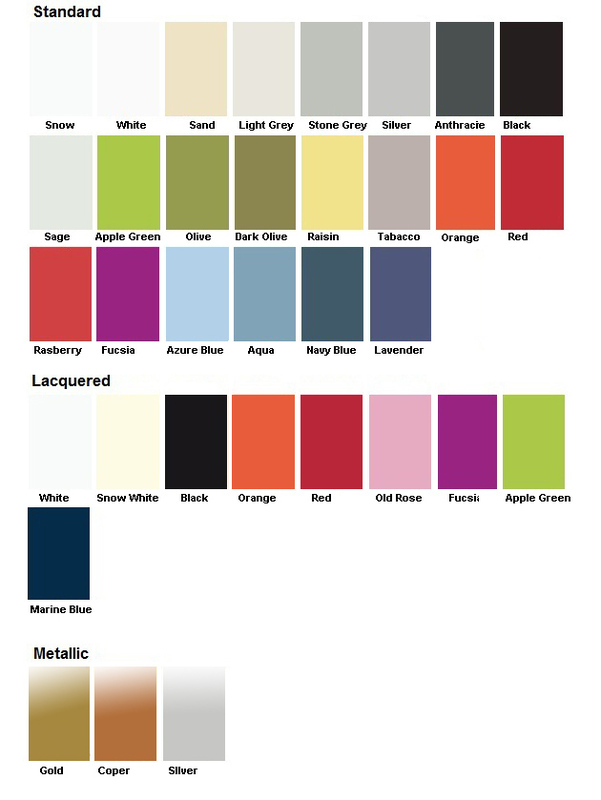 Custom color available upon request with certain minimum quantities.